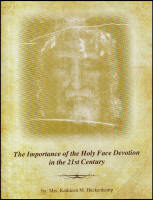 <br> DAILY MEDITATIONS WITH THE HOLY SPIRIT - REV. JUDE WINKLER, OFM CONV. These minute meditations for every day of the year contain a Scripture reading, a reflection, and a prayer. Father Winkler offers us an opportunity to develop a closer relationship with the Holy Spirit and apply the fruits of our meditation to our everyday lives.